The perfect Safari bag. Functional, stylish with a wide opening, side pockets and a shoulder sling. The Rogue Travel Bag is a strong travel bag in canvas and leather. Made by Rogue to be used in Africa. The perfect Safari bag. Functional, stylish with a wide opening, side pockets and a shoulder sling. Has an inside zipped pocket. 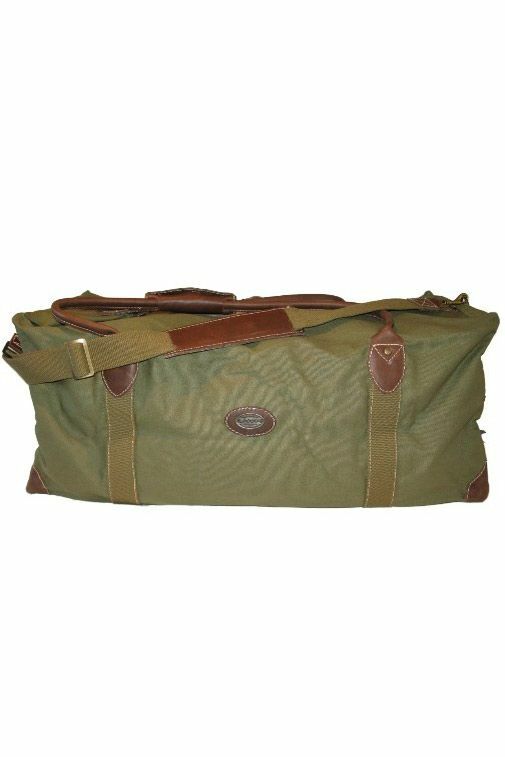 This Rogue bag would be ideal for a combined visit to South Africa for the World Cup and a safari! Olive colour canvas with oxblood leather trim. This bag is strong enough to be used in the hold of aeroplanes and can be locked with a padlock. 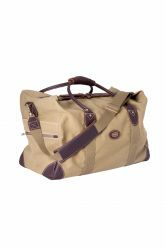 An excellent Travel bag ideally suited as a safari bag as it is soft and can easily be stowed in the hold of a small aeroplane or safari transfer vehicle. This bag is made for safari type travel. The perfect all round travel bag.